The tech giant's artificial intelligence debating system, Project Debater, went head-to-head Monday with one of the world's most decorated practitioners. The machine impressed, but the human won. IBM fell short in its latest attempt to prove that machines can triumph over man. But it came close. The tech giant’s six-year-old artificial intelligence debating system, Project Debater, went head-to-head Monday with one of the world’s most decorated practitioners. After a 25-minute rapid-fire exchange about preschool subsidies — during which the female-voiced AI showed flashes of very homo sapien humor — the audience handed the victory to Harish Natarajan, 31. The unorthodox contest marked the latest highly marketed man-vs.-machine challenge. In 1996, IBM created a computer system that beat a chess grandmaster for the first time. In 2011, its Watson supercomputer defeated two record-winning “Jeopardy!” contestants. And Alphabet’s AlphaGo famously proved AI can master the ancient and intricate game of Go. But debating, which requires creativity and emotive elocution, has proved more elusive. 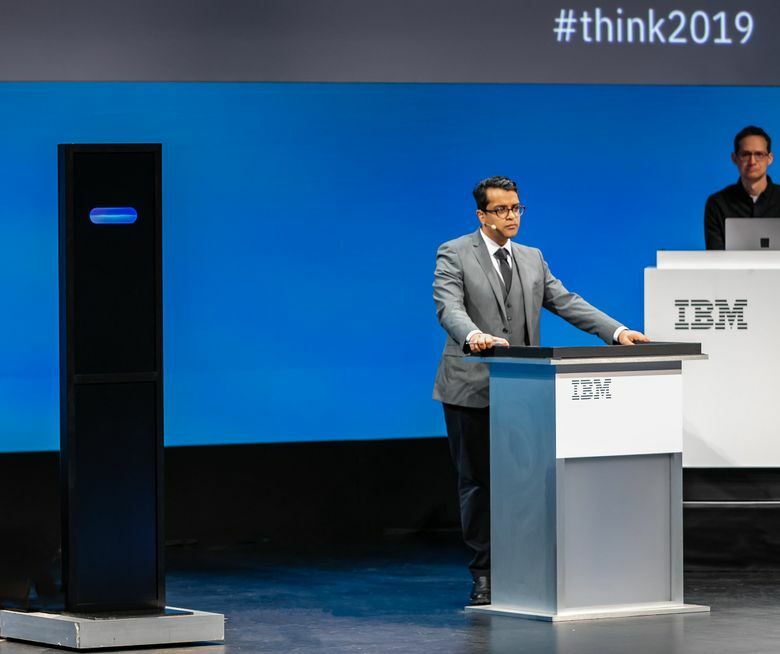 The event unfolded in front of hundreds of journalists, tech industry insiders and software engineers at IBM’s Think conference in downtown San Francisco. (Project Debater had performed live in front of an audience just one other time — last June, in front of press but not the public.) The topic at Monday’s debate: We should subsidize preschools. While spectators voted Natarajan the victor, they also said IBM’s machine better enriched their knowledge. Both contestants were given the topic at the same time and had 15 minutes to pare down arguments into a four-minute speech, four-minute rebuttal and two-minute summary. Standing at human height, Project Debater’s black box remained silent except for three rotating blue circles as it mulled over 10 billion sentences from news articles and scientific journals. Facing her onstage, Natarajan scrawled notes on scrap paper as he prepared his argument against subsidizing preschool. While the AI lost, the event was a culmination of sorts for the project’s progenitor, Noam Slonim. Sitting in the front row on Monday night, the IBM researcher could be seen laughing and cringing during the proceedings. He knew they were the underdogs: Natarajan holds the world record for most debate competition victories and has attended three world championships, winning the European tournament in 2012. Project Debater moves closer to realizing the dream of AI pioneer and British mathematician Alan Turing. In 1950, the founder of modern computing raised the question of whether or not machines could think for themselves. He predicted one day we would hold a conversation with a computer and not be able to tell the difference between human and machine. Project Debater still needs some work. 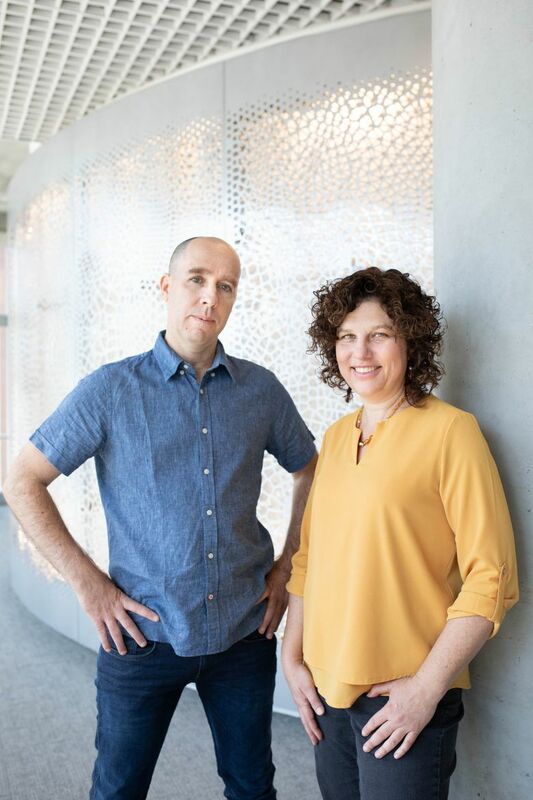 Longer-term, Slonim and his fellow researchers, Ranit Aharonov and Talia Gershon, are exploring whether AI can help expand the human mind. For instance, Project Debater may one day help lawyers pore through thousands of court cases to form closing arguments, or help children develop critical thinking skills. Information from the San Jose Mercury News is included in this report.